Posted on August 29, 2013 by Hey! Look Behind You! The things I love about this scene is that Anna Faris’ character is so trusting. She didn’t put up a fight while getting her throat slashed! Haters gonna hate but I love this non-Michael Myers related sequel. 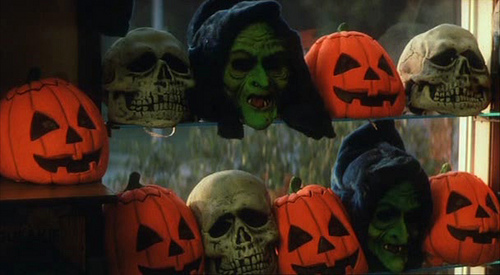 Awesome masks that kill pesky kids and Tom Atkins. Love! Evil Dead set the tone for all “cabin in the woods” type of horror movies. Then I’d die a hot death. 31 Days of Halloween Returns!